The SVA offers a mentoring program in cooperation with the UTM R.O.T.C. The program pairs veterans with R.O.T.C. cadets. The cadets mentor veterans on how to adjust and be successful on a college campus, and the veterans mentor the cadets on some of the situations they will face as a commissioned officer. 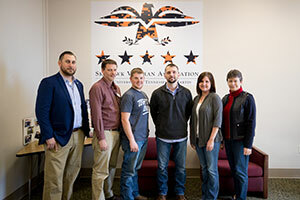 The purpose of the Skyhawk Veteran Association is to communicate the needs of student veterans with various and appropriate campus units. 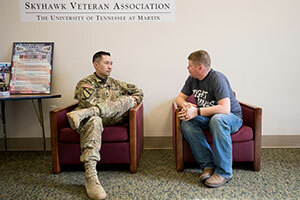 The SVA serves all veterans on campus and in the community. 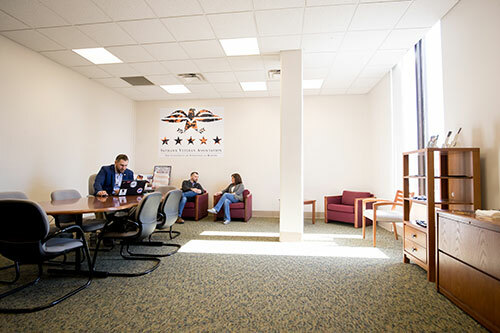 UTM has established a veteran's lounge in room 232 in the University Center to better serve the needs of veterans, active duty, reservist, national guardsmen, retirees, R.O.T.C. students, and family members who attend the university. The lounge has a mini refrigerator, microwave, and a dining area to allow students to work on homework or to relax and unwind from the day surrounded by fellow like-minded students.